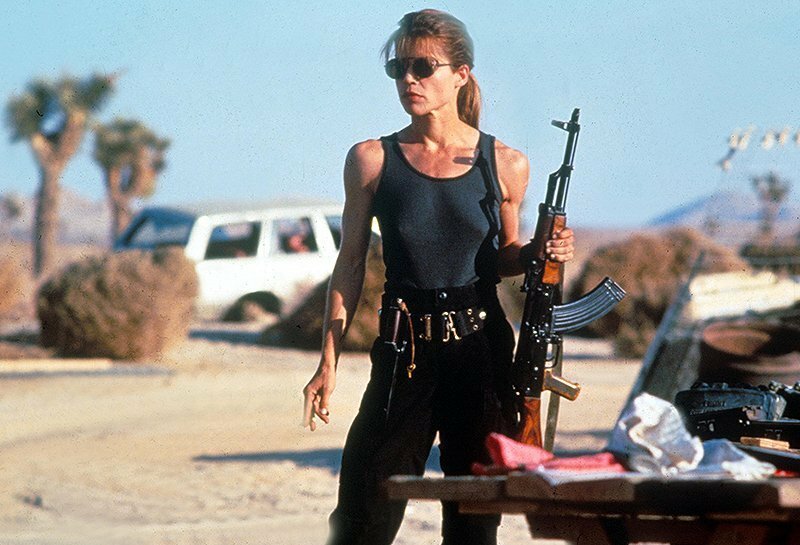 Linda Hamilton Set Photos as New Terminator Begins Filming! New Linda Hamilton set photos from the Madrid, Spain location shoot for the new Terminator film show the “seasoned warrior” version of Sarah Connor. Check it out at the Terminator Fans link below, along with a look at Mackenzie Davis on set here and Brett Azar (a.k.a. Arnold’s Young Terminator body double from Terminator Genysis) on set with director Tim Miller here! Mackenzie Davis (Blade Runner 2049, Halt and Catch Fire) leads the new movie, with Arnold Schwarzenegger and Linda Hamilton returning as their iconic characters. The sequel also features Natalia Reyes (Lady, La Vendedora de Rosas) and Diego Boneta (Scream Queens), as well as Marvel’s Agents of SHIELD‘s Gabriel Luna as the new Terminator.